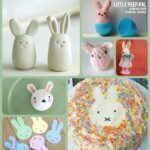 How to make paper rabbits step by step! 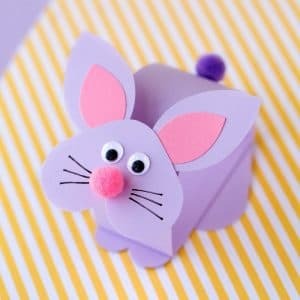 Our love affair with Paper Crafts continues! Did you know that our my new book is all about paper crafts?! Yep!!! Paper is simply fantastic! 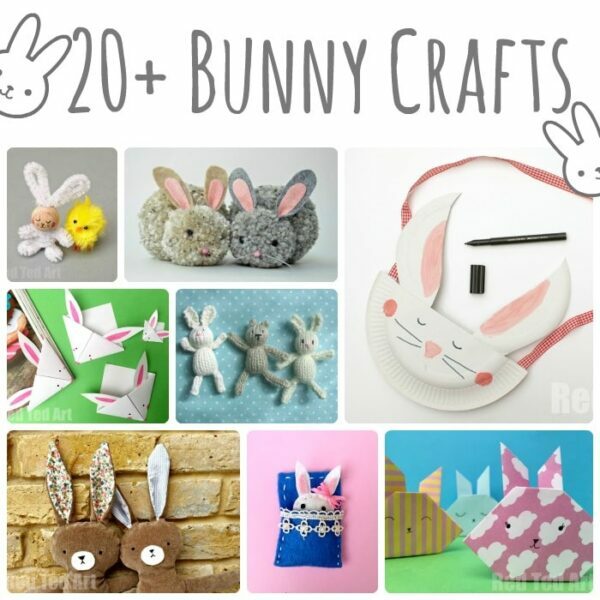 But today is all about Easter Crafting.. more specifically DIY Paper Rabbit Craft! 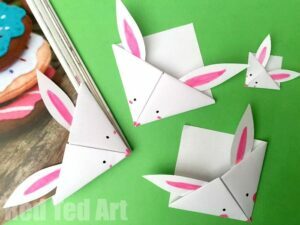 If you want to learn how to make paper rabbits step by step.. ready on. 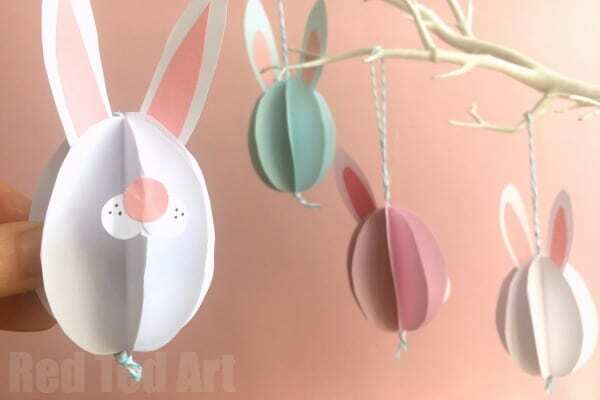 We have a great collection of paper bunny crafts for Easter (or all year round!). 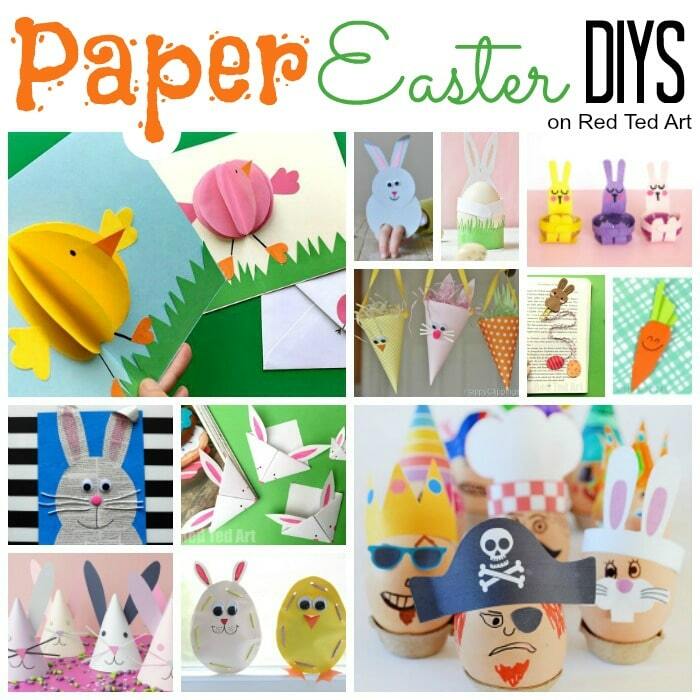 All DIY Paper Rabbit Crafts and DIY Paper Bunny for Easter crafts in one place! 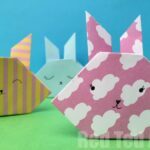 Learn how to make Paper Rabbits! 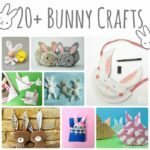 Here is a quick overview of our top 5 Bunny Crafts in a quick video tutorial.. more info is found by visiting individual projects below! 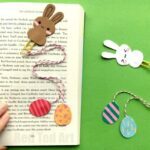 Another nice and easy craft are these ever so popular Bunny Bookmarks – they are a simple origami corner bookmark design, that is hugely popular among my readers – adapted to make these adorable little bunnies. 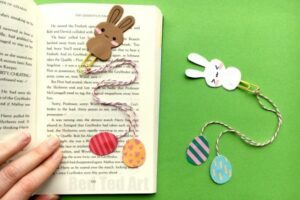 Love that the ears go on the INSIDE of the book, so they don’t get bent and damaged when peeping out.. More Easter Corner Bookmarks, where this came from!! 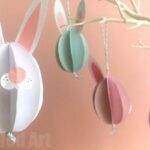 More fun with paper (or light card stock) and you can make these darling Easter Bunny Bookmarks – aren’t they just SO CUTE! A move away from our “usual” Corner Bookmarks, but an irresistible make none the less! 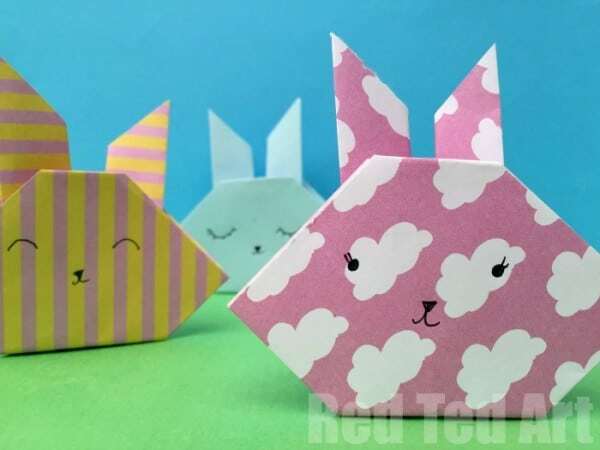 Here is an easy rabbit craft for kids – have a go at this easy origami bunny! 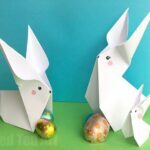 Even younger children can manage this on their own and it is a GREAT introduction to origami for kids. Love them. So cute. 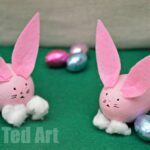 They would look adorable on some Easter cards, or are simply fun as an Easter craft to play with! 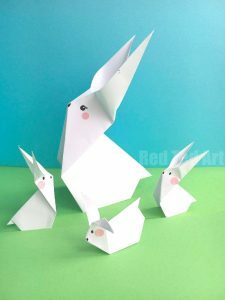 We also have this Paper Bunny Origami version. Also easy and great for beginners! 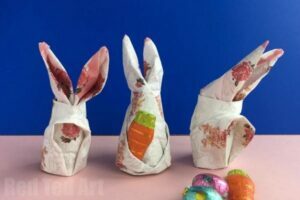 Learn how to fold these easy peasy Bunny Napkins. 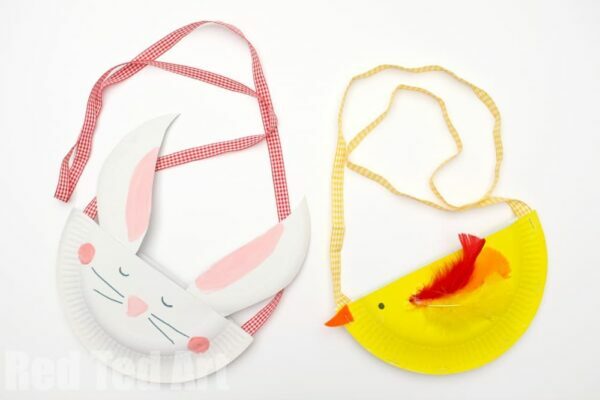 Great for keeping kids entertained at the restaurant or for a pretty table decoration at the Easter Breakfast table! 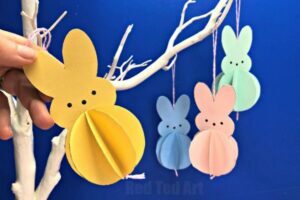 Adorable and super easy Paper Bunny Ornaments. 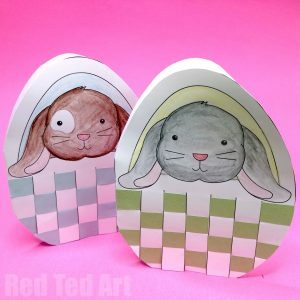 Bunny Card Printables – make these Bunny Basket Weaving cards for Easter. So cute! 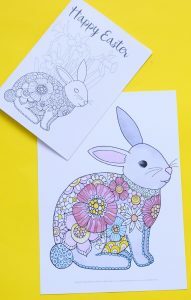 We have some bunny coloring pages. 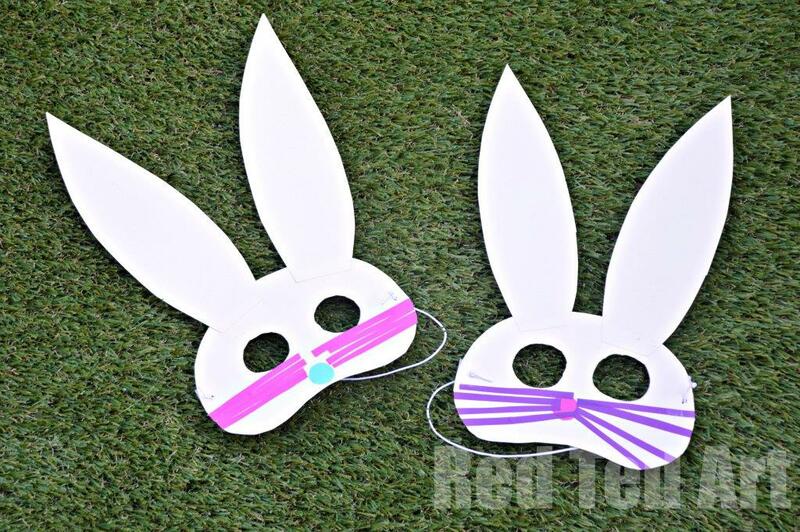 Super simple bunny masks that kids can make – simply using washi tape and sello tape. Fun and easy. Again great for a party environment or in the classroom. 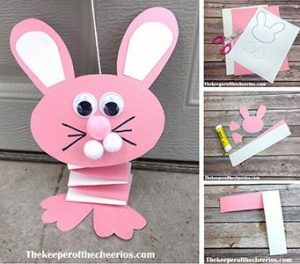 The Keeper of the Cheerios makes Bouncy Paper Rabbits with us! 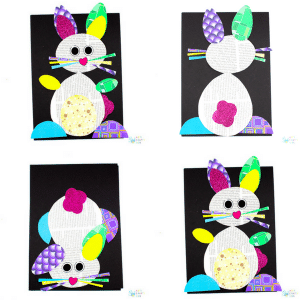 SUper cute Bunny Collage art with Arty Crafty Kids! 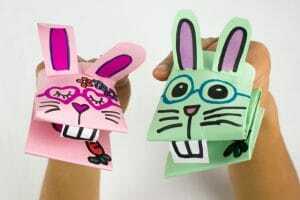 We love making Paper Hand Puppets.. and adore this Paper Rabbit Puppet Design from Pink Stripey Socks. So fun! 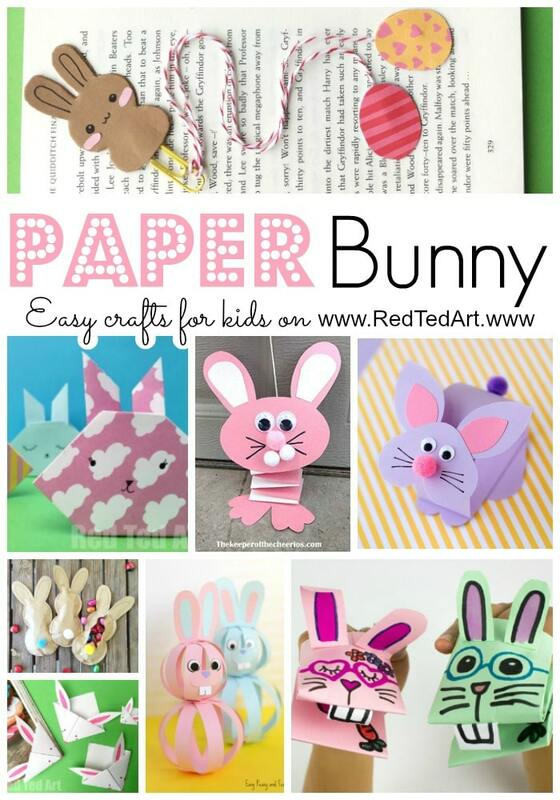 Fireflies and Mud Pies has a Bobble Head Paper Bunny. So cute! 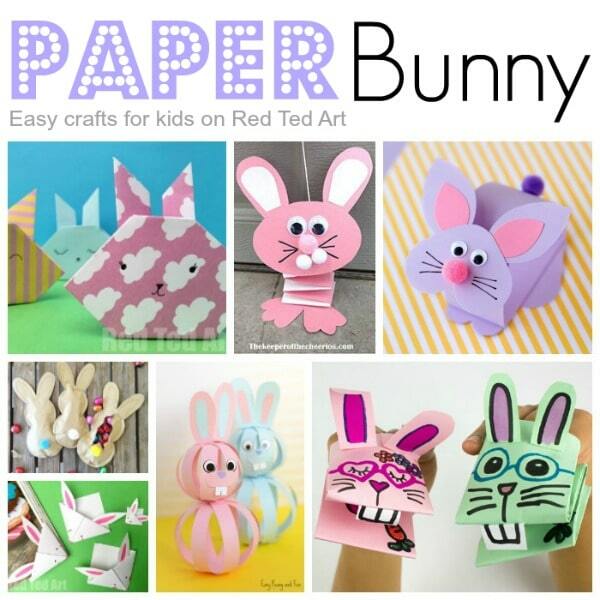 Easy Peasy and Fun has some great “Paper Strip Rabbits” for you to make. 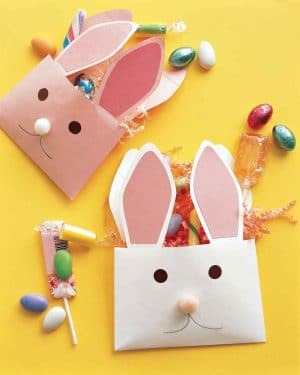 Make some Rabbit Envelopes with Martha Steward. 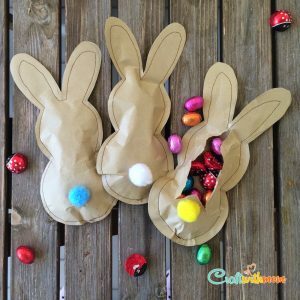 Craft with Mom and see how easy these Bunny Bag Surprises are to make! 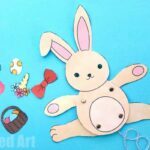 Here is a darling Bunny Craft for Preschoolers and toddlers – make your very own Rocking Paper Plate Bunny Rabbits! Just too cute! 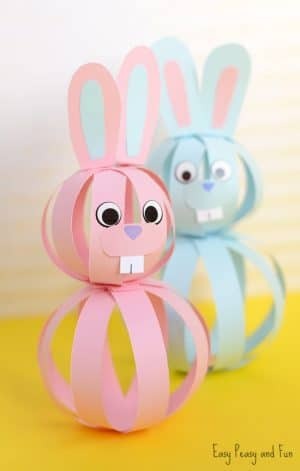 I love how young kids can make it, right through to around 7 and 8yrs olds will still delight in this oh so simple craft. With the use of pens (instead of paint), this is a nice “low mess” craft for preschoolers too! 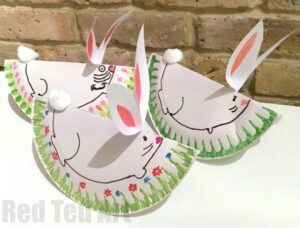 If you are looking for Rabbit Craft Ideas that are also suitable for very young children, take a look at these Paper Plate Bunny and Chick Craft! Aren’t they adorable? !